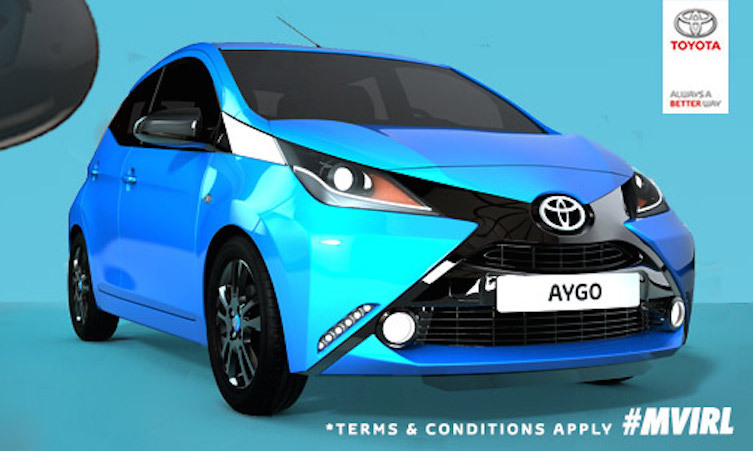 Could you see yourself in a brand new Toyota Aygo xcite in beautiful Cyan Spash blue? Of course you could. Luckily, Vevo VVV’s Music Videos in Real Life has just the competition for you. You can win an Aygo with the series’ latest competition. Yes, an actual, brand-spanking new car! To take part, all you have to do it get creative and film your own *real life* version of Justin Bieber’s ‘Sorry’, and share it on Twitter or Vine. Post your video mentioning @Vevo_UK and using the #MVIRL hashtag to take part. Your clip can be between six and 30 seconds in length. You have to be over 18 and hold a valid UK driver’s licence to win. Need some inspiration? Just watch the six episodes of #MVIRL that have been published so far in this post.